Hi! Thank you so much for reading The Daily Waist. I'm so sorry to have neglected it for a spell. There have been exciting (and corset-related) things going on in my life, but we'll be back on track soon! In case you're wondering what's up, I have a very exciting announcement! 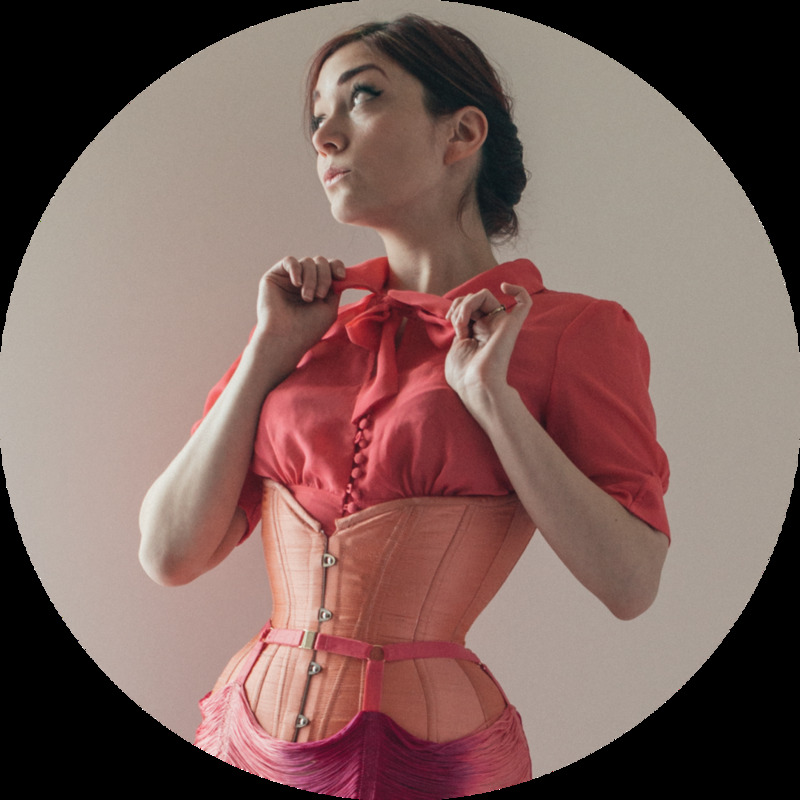 As you may know, I am a corsetmaker by day... and by night... and a blogger in the minutes in between. My own line is Pop Antique, and my mentor/day job is at Dark Garden. Dark Garden is one of the longest established corsetieres in the world. And I? I am now officially Associate Creative Director. I've been at Dark Garden for nearly 8 years now. The first thing I did when I moved to San Francisco was to stop by with my portfolio and some samples. In that time, I've done practically every job in the building. Dark Garden's founder, Autumn Adamme, mentored me for my MFA thesis. My understanding of fit is hugely based on her style, which has been proven on hundreds, perhaps thousands, of clients. In the past decade, my professional life has increasingly involved corsetry, and now it's basically all corsets all the time. I'm very excited about the transition. From the outside, the biggest change is that I have gone from Associate Designer to also coordinating our couture department. We do amazing custom couture looks, no matter what your style or gender identity. Most of our clients are brides, but we believe firmly in finding your own excuses to play dress up. If you're in the market for a unique ensemble, I hope I'll work with you. Thank you for reading The Daily Waist, and I promise I'll be back soon with a regular post for you!